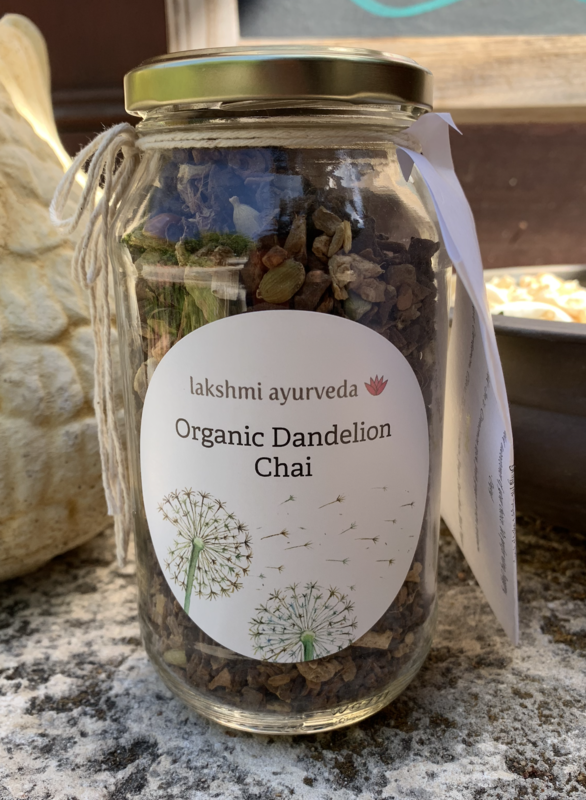 Lakshmi Ayurveda Dandelion Chai Tea. 280 grams. Roasted Dandelion root, Cardamom, Clove, Nutmeg, Cinnamon, Ginger, Star Anise, Black Pepper. • Optional Add-In’s: Cinnamon stick, fresh ginger, or extra cardamom. • Add 1 tablespoon of chai mixture to 2-3 cups of water. • Bring to a boil. Simmer for 5-10 minutes or longer if preferred. The longer the tea is brewed, the stronger. •Add 1 cup of milk. • Bring the mixture back to a boil. • Strain and add sweetener of your choice. We prefer using Jaggery.